2016 was a disaster politically, and it claimed too many of our beloved heroes. I take heart in how often I hear friends recognize and mourn these losses, and how often they and you respond with a desire to “fight” rather than ‘”surrender.” I also take heart in how the year was fantastic for D&D and RPGs. As I thought back on the wonderful gaming events of 2016, I realized that 5E had undone one of the greatest problems of 3E and 4E: the classics are back! Update! What? The day after I posted this, Wizards has announced a new book for April: Tales From the Yawning Portal! This book gathers several classics. I’ll reveal the list later below. I had no idea the book was being planned, I swear! Right now, name out loud a classic D&D adventure – the first one to come to mind. (Maybe leave the name in the comments… I’m curious to see which adventures readers first thought of, and why you think of it as a classic.) If you have a gamer friend nearby, ask them to name one too. The response will usually be one of a score of adventures created back in the AD&D days. What is it that causes these adventures to be so well regarded? And, why are there so few classics from the 3E or 4E era? Though the list is twelve years old, I doubt it would be very different if it was done just two years ago. Looking over the list, the Basic and AD&D editions (which were concurrent) dominate. There are only three 3E adventures, and only Forge of Fury is not a remake/spin-off. 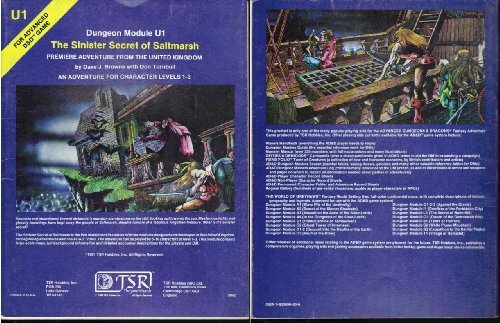 During the 4E era it was common to hear gamers ask whether any 4E adventures could be considered a classic (I argued for Madness at Gardmore Abbey). 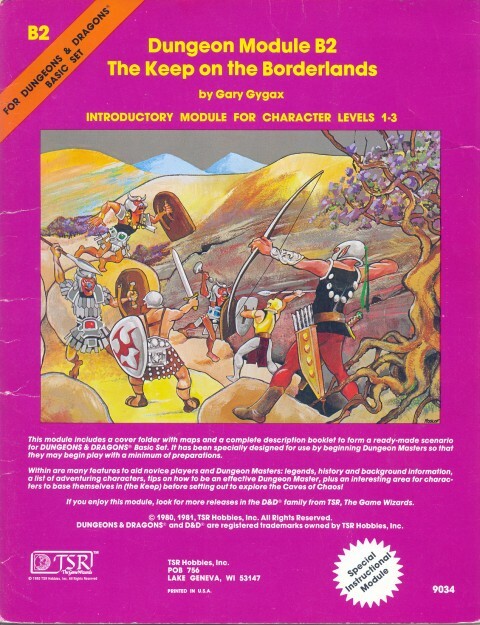 Even looking at 2E (launched in 1989), only four of the thirty are original 2E adventures. Update: Okay, now let’s share the details on Tales from the Yawning Portal! The book is based on the idea that adventurers from many worlds (such as Greyhawk) would swap tales of their grandest adventures in this renowned tavern found in Waterdeep (it is well known for providing an entrance to Undermountain). The book includes updated 5E version (or dungeon portions) of the AD&D adventures Against the Giants, Hidden Shrine of Tamoachan, Tomb of Horrors, and White Plume Mountain, plus 3E adventures Sunless Citadel and its sequel Forge of Fury, plus the D&DNext/5E Dead in Thay. Those adventures rank #1, 3, 9, 18, and 12 on the list, plus Sunless Citadel and Dead in Thay (the former doesn’t appear, the later was published after the list was done). Was it quality? Many of the classic adventures, such as Elemental Evil and the Slave Lords, began as organized play tournaments. That might lead us to think that organized play or playtesting had something to do with it, but it is unlikely – classic adventures are often riddled with errors and issues that make actual play troublesome, and communication around those tournament experiences wasn’t widespread back then. Was it because they were the first at something? Many classics are memorable for introducing something. For example, Tomb of Horrors and the idea of a deathtrap dungeon, or the giants and drow series for introducing drow and underdark exploration. While the adventures often innovated or furthered concepts, those “firsts” are not usually what people most recall about the adventures. A common quality about the classics is their lifespan. An older DM will often share not one story about the Giants series, but several. They ran that adventure several times over the years. This is true for me. My favorite classic is I3 Pharaoh. I ran that adventure, as well as Oasis of the White Palm and Lost Tomb of Martek, so many times I lost track. I converted portions of Pharaoh to 3E, 4E, and 5E! Underlying this was shelf lifespan. I grew up in Colombia. When I traveled to the US and visited the mall’s Waldenbooks, there was a circular rack of adventures. When I traveled the next year, the very same adventures were there. In fact, they were there every year I traveled to this mall. Shannon Appelcline wrote a column about the history of RPGs, which later became a book and then an amazing set of 4 books (hardcover here) filled with fascinating stories and great insight into our hobby. In this column he writes about the bestselling RPGs. He shares how in 1992, the 9th best-selling RPG book was Fiend Folio. What? That book came out in 1982… it was ELEVEN YEARS OLD when it was the 9th-best-selling book in 1992! That is exactly what happened to old adventures. The classics were found on shelves for multiple decades. Why are they classics? Because they were on shelves so long that eventually, you bought them (or knew someone who did). And with such a lasting presence, chances were you played or ran them, or knew someone who did. Keep on the Borderlands came out in 1979, and was included in the Basic boxed set and then in the 1981 Basic set. It was also sold on its own. It was perhaps the 12th adventure ever made, but it had an estimated 1.5 million copies! With so many gamers of that era growing up on Keep, it became part of the consciousness, like a connected memory everyone shared. The same is true of the other classic AD&D adventures. Pharaoh, Temple of Elemental Evil, Tomb of Horrors, Dragonlance adventures… these were on shelves for decades. As so many gamers played them, they became a sort of lingua franca – the common tongue of gamers. Tomb was synonymous with deathtrap dungeon. You exchanged tales of how your characters (plural) died. Everyone seemed to have a fun story about which elemental evil cult they infiltrated first in Temple. Or, which riddle or trap you cleverly avoided in Pharaoh. Or, a story about which artifact they reclaimed from White Plume Mountain. Maybe you uttered “bree-yark” when telling stories about goblins in the Caves of Chaos… these stories were a fun currency to trade when you met, and they still are! With so much shared memory, it is natural that these adventures continue to evolve. The keep and the Caves of Chaos have seen numerous expansions, revisions, articles, playtest versions, and more (I discussed Keep’s history and adapting it to 5E in this article). 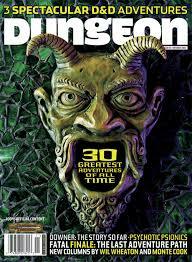 Tomb of Horrors has seen a version for every edition (2E, 3E, two for 4E, and in DDI for 5E’s D&D Next playtest rules). Even if they don’t have obvious revisions, the classics continue to inspire. Designers talk about emulating the traps in Pharaoh, or the open nature of Isle of Dread. When it came time for us to design the scoring system for the 2016 D&D Open (as discussed in this earlier article), I looked to several old tournament adventures for insight, particularly Tamoachan. The classics often seem to be the inspiration behind 5E adventures as well. This extends the memory of the classics, allowing later gamers to identify with the same stories. Take a look at Shannon’s article again. In 2010, the oldest bestseller on the list is from 2007, just three years old. Almost all of the bestsellers are from the actual year of 2010. If you visit a book store or even a gaming store today, chances are the shelves reflect that. While they might have a few old items, anything occupying the central/main gaming shelves is actually new. 3E and 4E saw some great adventures, but they weren’t recognized as such and they weren’t widely played. Ask someone to list their favorite, and you might get a blank stare or an organized play adventure (including Encounters) that wasn’t actually sold. While there were official adventures for both editions, they had a relatively short shelf life and almost no lasting shared memory amongst gamers. For all of the excellent 3E and 4E adventures, they didn’t become classics because they didn’t have the longevity – neither on store shelves nor in our collective minds. 5E completely changed its approach to adventures. Gone is the idea of a string of individually-sold linked adventures. Instead, each adventure is a 200+ page tome, capable of acting as a long home campaign. Importantly, each hardback adventure is part of a storyline season. Each season is extensively promoted, and is integrated into everything the company and its partners create. When each season is designed, the Wizards of the Coast team picks themes that reflect the history of D&D, tapping into those classics. Princes transports the cults from Temple of Elemental Evil from Greyhawk to the Forgotten Realms, including the concept of elemental nodes, but it also has many innovations and its own story. 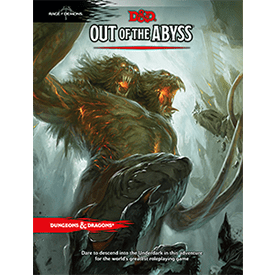 Out of the Abyss taps into the drow/underdark adventures and several other classics, but has a very different way of telling its story. 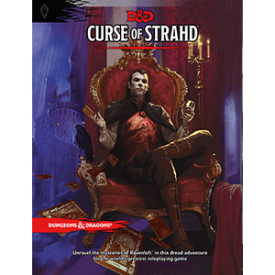 Strahd clearly reflects I-10 Ravenloft, including the use of the same castle, but it weaves a far greater campaign and innovative experience around it. The latest season, Storm King’s Thunder, abandons the linear approach found in the Against the Giants series, while adding a new story around what would cause the giants to go to war against the small folk. During the design of the seasons, the Wizards team creates a “story bible,” which is shared with partners. I was fortunate to see the Tyranny of Dragons bible, though I can’t share its contents. It was fantastic at communicating the themes of the season, while providing the hooks and core elements that partners need to craft their stories. It is no surprise that the Neverwinter MMO, writing partners such as Kobold Press or Green Ronin, minis partner WizKids, or play aid partners such Gale Force Nine do such a great job of capturing the spirit of the season. They are given the exact tool they need to know what to create. The result is a season with a theme that is felt by all. 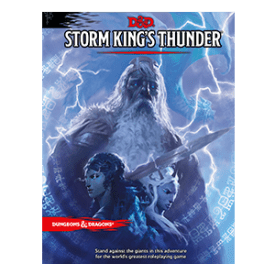 Visit the D&D site and it is covered in Storm King graphics. Go to a partner, and they have D&D products supporting the season. Play the MMO and it has a Storm King expansion. 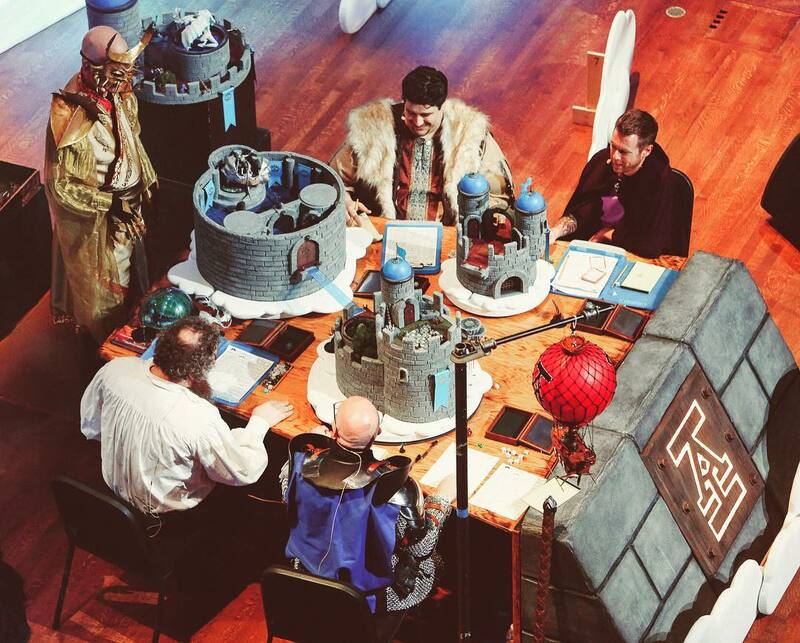 Watch D&D online and you see Force Grey (catch the events here) take on giants. 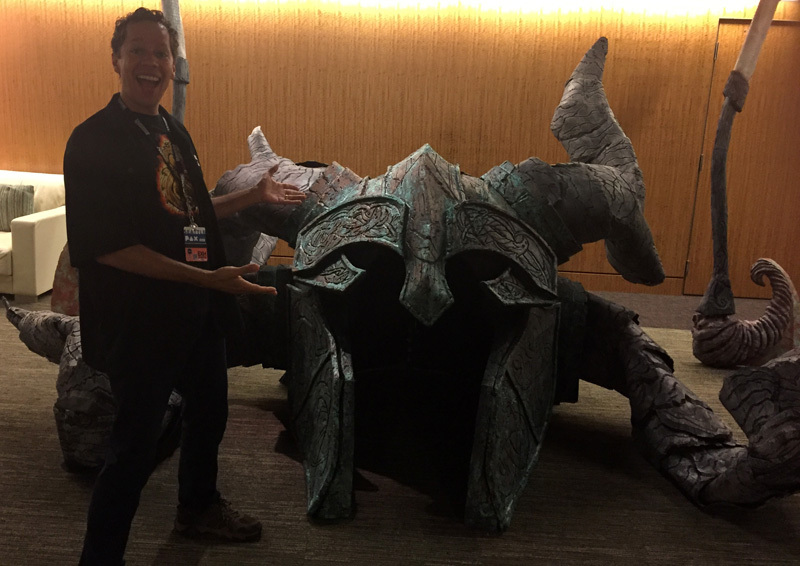 Go to PAX West and you get to take your picture standing next to a giant’s helmet, then you watch Chris Perkins lead Acquisitions Inc. through a cloud giant castle… and if you watch it in a theater, you received a copy of Cloud Giant’s Bargain! 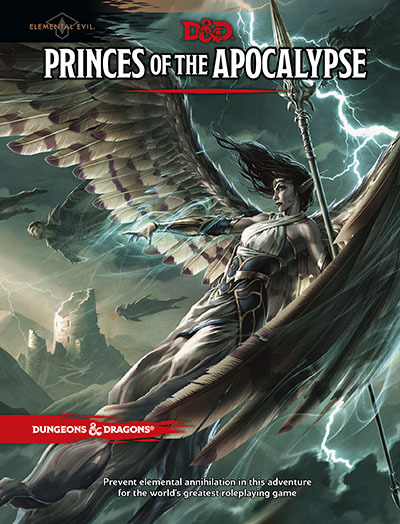 Go to your store, to a convention, or to the DMs Guild and the Adventurers League has a series of adventures that play off of the Storm King season. This is so magnificently done that it has completely changed the equation of what it takes to create a classic. The 5E adventures doesn’t have to stay on shelves for a decade. Because the season is so tangible, and so thematic, we all share in the experience and it becomes real to us. Even if we don’t actually play the Strahd season, we learn about it and Ravenloft. We think about Strahd as a villain, think about horror in RPGs, and hear the stories of those participating in the season. We create the shared memory that defines classics. I’m really excited about this. It is one of the best parts of 5E and Wizards’ strategy, because it is creating iconic experiences. 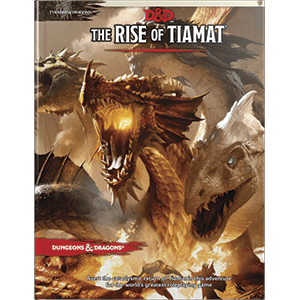 Most active gamers now understand how Tiamat threatened the Realms, and that there is a Cult of the Dragon. They hear about Thay and its deadly wizards. They learn about the Ordning, and the idea that the giants once ruled the Realms. It particularly excites me about what might come next, and how the design team might transform it. Will we see Pharaoh? (Can I be a part of that effort, please????) Will we see the Slave Lords? And what about crossovers, the way Out of the Abyss combined elements? Maybe the Slave Lords are active in the Desert of Desolation, or around Saltmarsh? I can’t wait. The Tome Show has a great podcast episode on Female Empowerment in D&D! As you can tell from my last blog and my discussion on Ego Check with The Id DM, this is a subject I consider vital to our industry. Speaking of Ego Check, check out this interview with one of D&D’s most amazing DMs, Susan Morris! I particularly enjoyed her describing what an editor does/did at Wizards of the Coast (hint: a ton!) and how she creates adventures. The Winter Fantasy Convention (Feb 1-5, 2017) is one of my favorite conventions. I recommend it highly because it offers super easy hotel and event registration and a not-too-big-not-too-small focused setting where you can meet tons of great gamers and industry guests. You can check out the schedule here, register to play here, and sign up to DM here. It’s a great place to play Author-Only adventures. The DM crew is fantastic and the rewards excellent. I hope to see you there! A special adventure, In Volo’s Wake, has been created for stores to support the excellent Volo’s Guide to Monsters. In Volo’s Wake is for levels 1-4 and was led by veteran Shawn Merwin with two additional authors (Monica Valentinelli, Rich Lescouflair) who were picked based on their cool DMs Guild adventures! The adventure is set in Phandolin (as was the Starter Set), which is a great tie-in for stores! Author-Only adventures are an interesting program in AL allowing admins and WotC staff to write special adventures for conventions. Alan Patrick is an awesome writer, and his AO adventure is the first available to anyone through the guild! I really enjoyed it. Thayans, necromancers, ancient pyramids, Kyuss? Get Window to the Past here! The Adventurers League continues to rock the giant season with the latest adventures: 5-03 Uninvited Guests, 5-04 In Dire Need, 5-05 A Dish Best Served Cold, 5-06 Beneath the Fetid Chelimber, 5-07 Chelimber’s Descent, 5-08 Durlag’s Tower, 5-09 Durlag’s Tomb, 5-10 Giant Diplomacy, and 5-11 Forgotten Traditions. We have seen the Convention-Created Content from Baldman Games be a roaring success, and now the Cold Iron Conventions have added their adventure for AL, called The Vault of the Devourer. It is written by AL admin Greg Marks. AL has also released several free resources: rules for creating PCs from the new races in Volo’s, a Guide to the Factions of Faerun – including new downtime uses, and an updated FAQ document. I’ve been impressed by author M.T. Black on the Guild. He has gathered his cool adventures (several are gold) under a Complete Adventures offering. Unearthed Arcana continues to showcase WotC’s ideas with articles on Cleric Divine Domains, Druid Circles and Wild Shape, Fighter: Martial Archetypes, Monk: Monastic Traditions, and Paladin: Sacred Oaths. You can find all the UA series here. WizKids has re-released the Icons of the Realms Starter Set miniatures, this time without Drizzt and adding the very cool druid from Icons of the Realms, but all with new alternate paints. These minis match the Starter Set pregens, which are found on the WotC web site and also often used in organized play. WizKids and WotC also announced a new Minis set for January, called Monster Menagerie II. The first Menagerie set in April 2016 was tied to the Curse of Strahd series. Perhaps this one is tied to the next season (not yet announced), or it might be season-independent. Fans are drooling over the case incentive picture, shown below! I usually purchase my minis from Miniature Market if I pick up a case, or individually at my favorite local gaming store. Great post! I’ve very much enjoyed the classic feel of the 5e adventures so far. 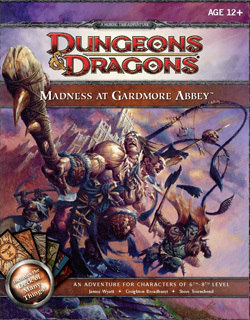 I really need to play or run Madness at Gardmore Abbey some day – most people who have mention this as THE 4e Classic. Totally with you on the Desert of Desolation series for AD&D. For 3e, I would go with Red Hand of Doom which was an excellent mega-adventure, featuring Tiamat as did Tyranny of Dragons, but with lots of cool dragonspawn villains and some great set pieces and locations. Red Hand is one that I’ve often heard named (and it was allowed for organized play, extending the audience), though I never played it. Did you feel like the influence from it on Tyranny of Dragons was pronounced? Tiamat has been in several adventures (you face her in AD&D’s Throne of Bloodstone and she was in a 4E adventure path). There wasn’t much from those efforts represented in Tyranny. It seemed that greater influences were the Encounters adventures that dealt with Thay, as well as the Cult of the Dragon lore from various FR products. I don’t think it has that much in common with Tyranny. The main things are the Wyrmlords and the summoning of Tiamat’s aspect at the end. There are more similarities with Reavers of Harkenwold in the 4e Essentials DMs’ Kit I think. It’s a great campaign/adventure though – kept us busy for 32 weekly sessions. The Ghostlord and his lair in particular are very cool. So my favorite adventures from 3E/3.5E were the opening adventures for the Eberron Campaign Setting. They did such an amazing job launching the setting and striking just the right tone. I have adapted and re-used parts throughout my life as a DM through 4E and even 5E. A single module/adventure that is near and dear to me as well as a classic is FRCS’ H4: The Throne of Bloodstone. The whole campaign is excellent, in fact. Holding it back in my opinion might be the Battlesystem Rules. While important to have in an RPG game, it kind of felt a little rushed to market and was too bulky of a system. I’ve run the H4 module 6 times, each time adapting it in one form or another as well as having run it through all editions, except 5e, thus far. Because of this module and campaign. I specifically set my “world” in Vaasa and the northern reaches of Faerun. Hopefully we’ll see an update to this area with 5e. Oh, I forgot to mention. As far as recent classics go. I thought 4 editions Revenge of the Giants, was incredible. I absolutely LOVED Throne of Bloodstone. It was the capstone to our college campaign, with too many amazing tales to ever tell them all on this blog. 4E had a fair amount of coverage of Vaasa, including several very cool adventures for the Living Forgotten Realms campaign. I really like how the canon of H4 (including the pregens) has been used and expanded upon over time. I did enjoy 4E’s Revenge of the Giants, though I found the format seemed to overly focus on encounters vs story (as was the case with much of 4E’s early adventures before they improved the format). My favorite take on a giant campaign was the Living Greyhawk region of Geoff, which had an amazing set of adventure arcs detailing how the Duchy of Geoff could be slowly won back from the giants. This entry was posted on January 4, 2017 by Alphastream and tagged 3E, 4E, AD&D, Authoring, Community, RPG History.